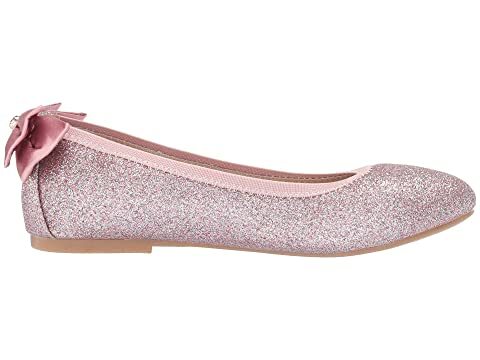 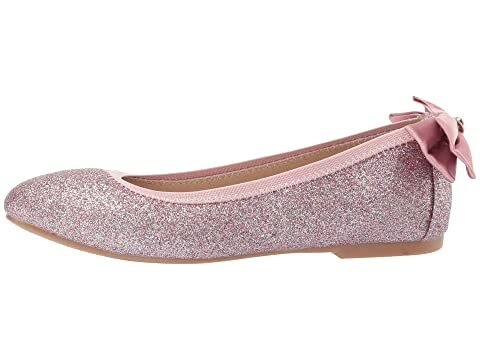 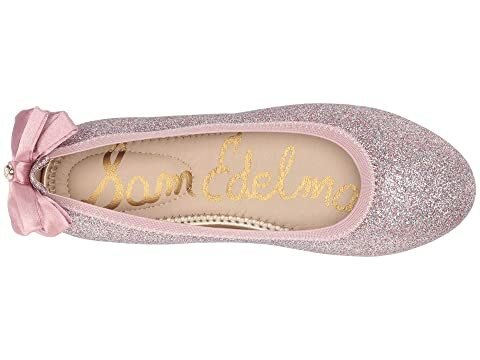 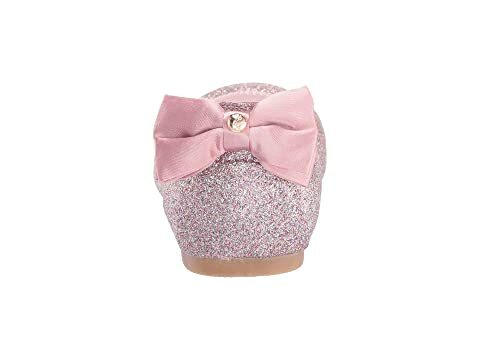 The sweet Sam Edelman Kids® Felicia Esmerelda ballerina flats boast a beautiful back bow. 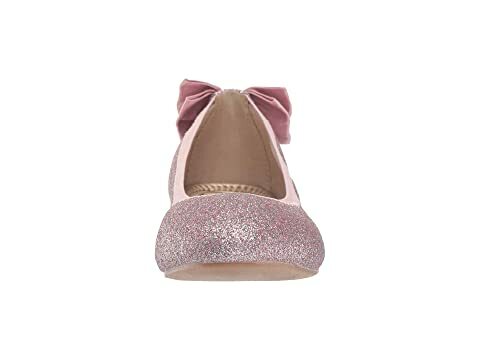 Sparkle bow detail in the back with monogrammed logo bead. 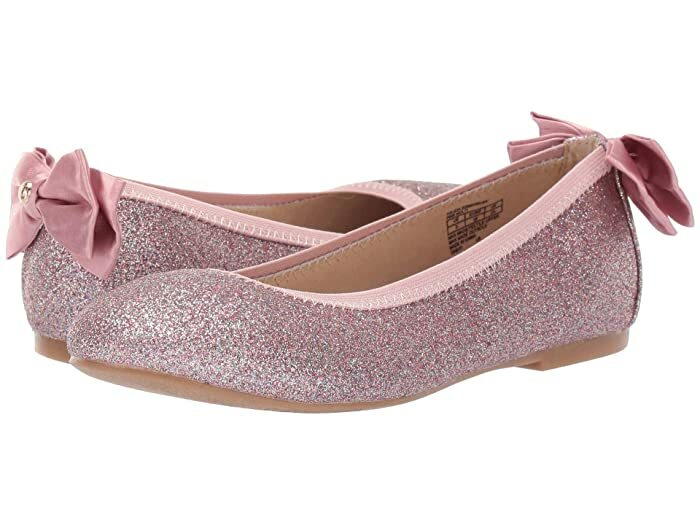 Man-made upper with a comfortable elastic band lining the entry. 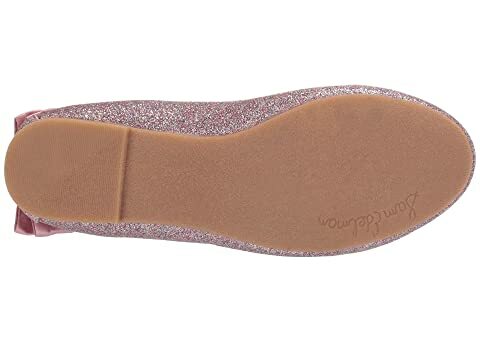 Cushioned footbed features a large metallic logo print.